A blog from the Spritz Club written by Diane. Photos are mine though! -Feynor! This week, Maracuja and I went on a wine Wednesday trip with the outdoor recreation group on base. 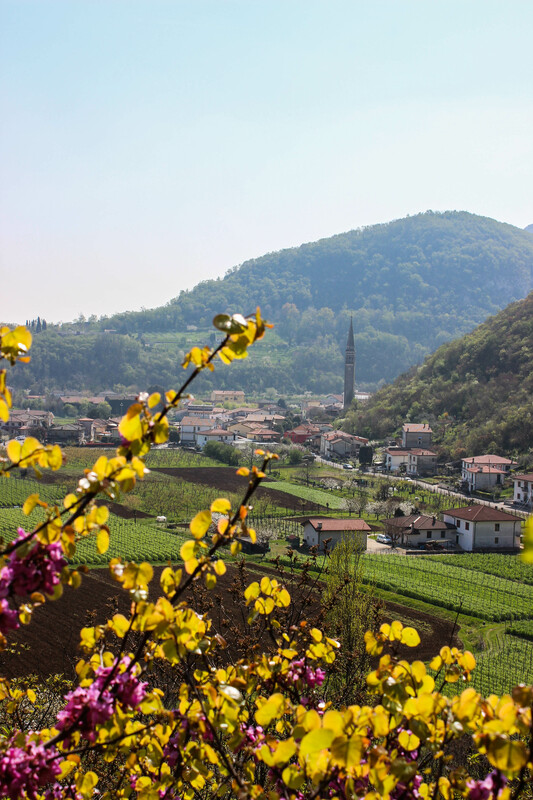 We traveled about 1.5 hours away from our hometown of Vicenza and it was like we were transported into wine country (although most of this area is wine country). Our surroundings became rolling hills laced with grapevines and a small town here and there, can you say gorgeous? The drive up one of the rolling hills on a charter bus may not have been the best way to experience the beauty, but it was a good way to learn exactly how skilled the bus drivers here are! This entry was posted in Fooding, Italy and tagged grapes, Italy, Prosecco, spumante, travel, Valpolicella, vineyard, wine. Bookmark the permalink.